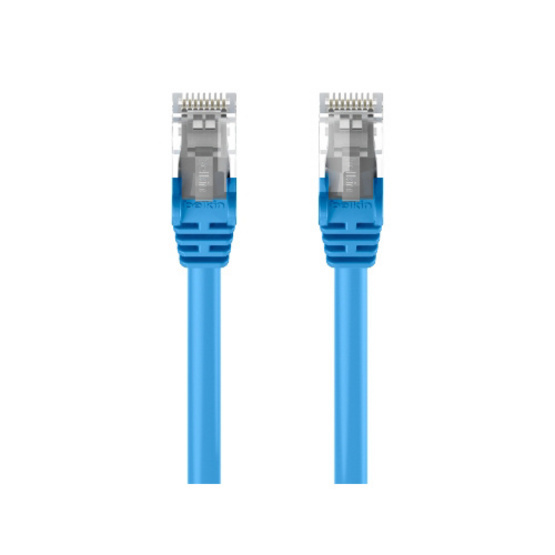 Upgrade your network and enjoy clean and clear transmissions with the Belkin CAT5e Snagless Ethernet Patch Cable. This patch cable lets you connect a laptop or desktop computer to a wall outlet, modem, router or another networking device. It meets the CAT5e standard and is suitable for use with 100/1000BASE-T networks. Patch cables are also handy in home offices and hotel rooms to establish a wired Internet connection. 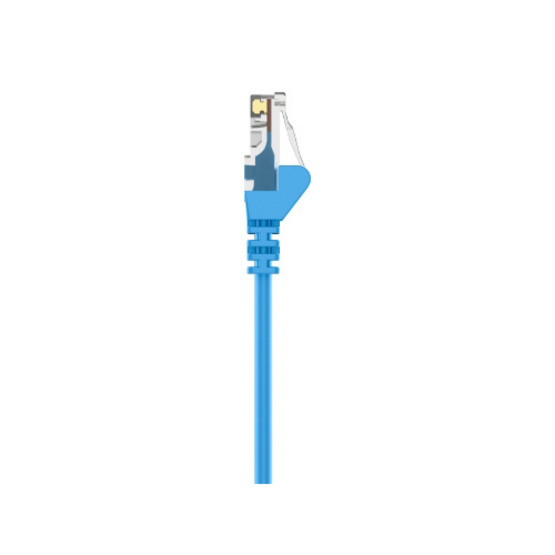 The CAT5e Patch Cable features an RJ45 male connector on each end. 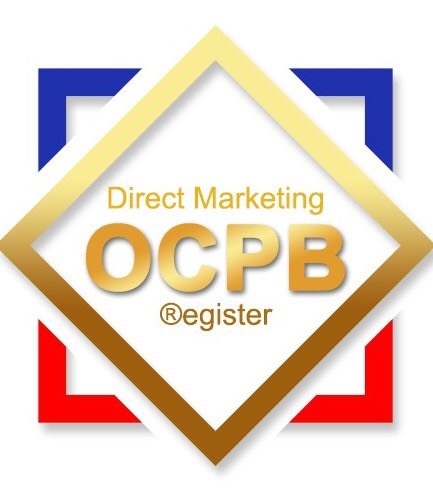 Internal load bars ensure accurate plug positioning and consistent high performance, while the 50-micron gold-plated connectors resist corrosion and wear and deliver a clean, clear signal. 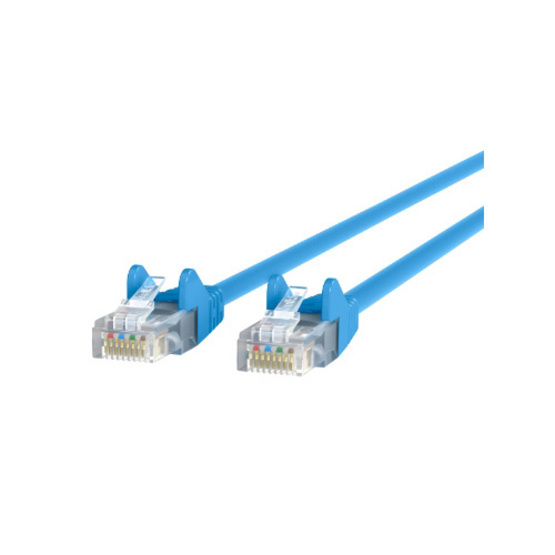 This cable exceeds the performance requirements of the CAT5e (Category 5 Enhanced) Ethernet network cable standard. 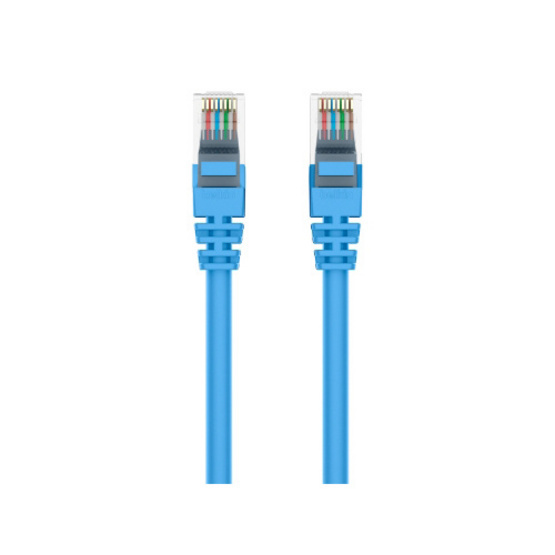 CAT5e cables can support Gigabit Ethernet speeds of up to 1000 Mbps and are backward compatible with Fast Ethernet networks for versatility. Plus, their wire pairs are twisted more tightly than those in CAT5 cables to reduce signal interference. 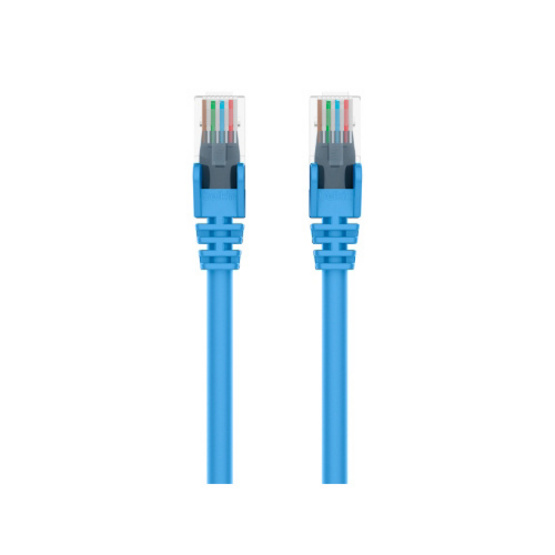 The Snagless RJ45 CAT5e Patch Cable features 4 Unshielded Twisted Pair (UTP) 24 AWG (American Wire Gauge) stranded copper wires to reduce electromagnetic interference. Stranded cables are more pliable than solid cables, making them better suited for travel. Plus, the wires are housed in a durable PVC outer jacket for abrasion and corrosion resistance. This Ethernet cable includes a molded strain relief with ridges at each end that provides flexibility, reduces stress and allows the cable to move without cracking or breaking away from the plug for greater durability. Plus, the snagless moldings protect each RJ45 plug, preventing damage during installation.